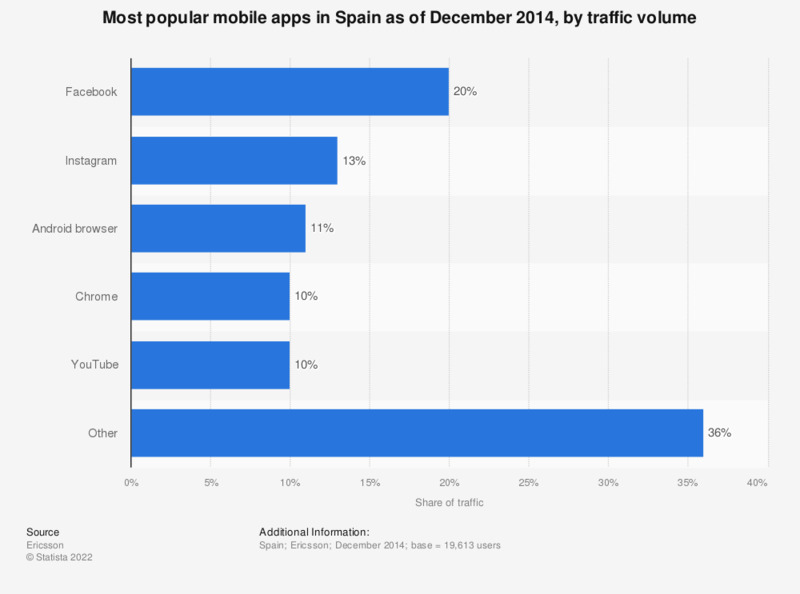 This statistic presents the most popular mobile apps in Spain as of December 2014, based on traffic volume. During the survey period, it was found that Facebook accounted for 20 percent of all mobile app traffic. Video app YouTube was ranked fifth with a 10 percent traffic share.